Mr. Rudy Cerci, Manager, and his team wish you a warm welcome. 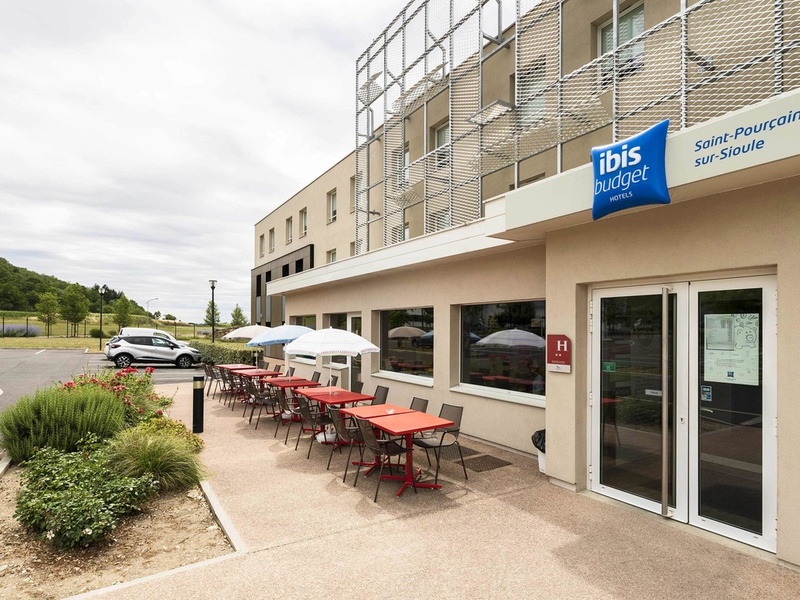 On the outskirts of the center of St Pourçain, ibis budget is the smart accommodation choice! Choose to stay in an inviting, modern room designed for 1, 2 or 3 people (depending on country), with a shower, toilet and satellite TV, all for an affordable pr ice. Start your day with a delicious breakfast that won't break the bank. The hotel is open 24/7. Reception is open at least: 6.30am to 9.30am and from 5pm to 9pm on weekdays. 7.30am to 10.30am and from 5pm to 9pm at the weekend and on public holidays. The Hotel ibis budget Saint Pourcain sur Sioule is located in the heart of one of the oldest wine growing regions in France. Meet wine growers along the wine route and visit up to 20 wine cellars in the Union des Vignerons. TREAT YOUR TASTE BUDS!